George Street Chiropractic is in the heart of East Fremantle, in the iconic George Street precinct. 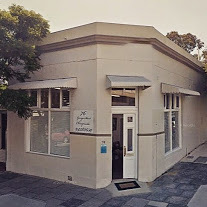 Originally, founded as Winter Chiropractic Health Centre by Shirleigh and Doug Winter in 1955, the clinic relocated to where it is now in 2008 and is now overseen by their son and primary chiropractor Russell Winter. For the latest news regarding our clinic and tips on spinal health, you can visit our facebook page. We are grateful that our practice grows by referral. The greatest compliment our patients can pay us is the referral of their friends and family to our clinic.